New. 4050538455793 We cannot ship expedited. Expedited orders will be auto cancelled. CD. Adam/Agostini/Hulbe; Adam/Armstrong/Arms; Armstrong/Armstrong; Armstrong/Hales/Lau; Armstrong/Laubscher. Very Good. In very good packaging. 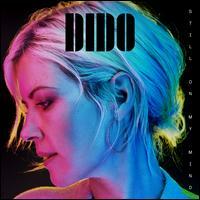 DIDO-Still On My Mind by DIDO. New. 4050538455793 Special order direct from the distributor. Adam/Agostini/Hulbe; Adam/Armstrong/Arms; Armstrong/Armstrong; Armstrong/Hales/Lau; Armstrong/Laubscher. New.